Between books, fees, and the steadily increasing price of tuition, the cost of attending a university is higher than ever. If you don't believe us, just take a look at this article that discusses how many students are worried about how they'll physically survive after paying for all the costs associated with school. Because of that, parents (and students) are looking for ways to save on one of the biggest expenses that are incurred during this time: housing. 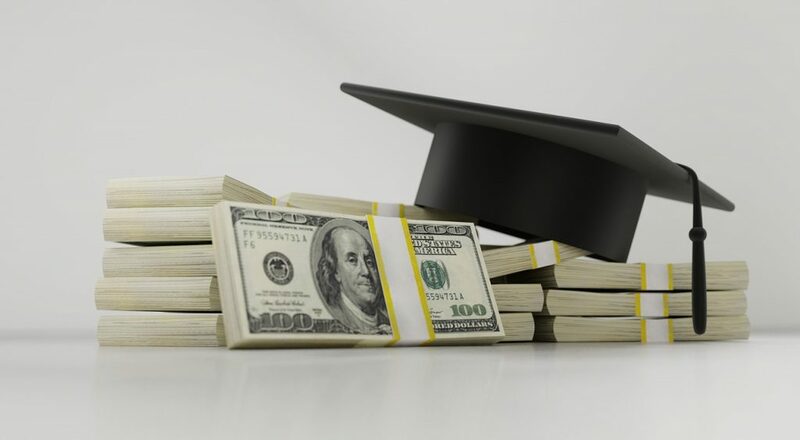 Students who are planning on attending a private, four-year university can expect to pay over $11,500 a year, while those who would rather go to a public university can live on campus for nearly $10,000. For a college student who may or may not be planning on working while in school, that is a significant chunk of change, and many people are hustling to find ways to save on this necessary expense. One of the ways they've found to be more frugal? Buying a house and renting it out to a few other roommates. While parents of college students are the main group taking advantage of this idea, savvy investors are also looking at housing near college campuses as a way to increase their net worth. It's not necessarily as much of a slam dunk as other forms of real estate investing, but if bought at the right time and properly maintained, it can be a stable source of income for years, especially if you are able to snag housing near campus. Whether you're a parent trying to find a home for your student next semester or a real estate investor looking to buy some extra property, there are a few things you need to keep in mind. Those who already own real estate know and understand this maxim better than anyone, but it matters where you buy. Not only that, but it matters where in the town you buy as well. Look at the real estate trends to see where house pricing is increasing and see if you can buy low in those areas. For parents whose children have already chosen a college, however, this may not be an option. In this case, look around at the areas close to campus and find something that is inexpensive and in a developing part of town. The last thing you want to do is invest in a property that will cost more in the long run to at least break even than if your child had just lived on-campus. 2. Decide How Long You Want to Commit. Depending on the type of real estate purchase, some investors will hold onto properties for a matter of weeks while others will keep their housing for years, even decades. In the case of college housing, your level of commitment to that house needs to be balanced with what your expectations are: Once your child moves away from Orlando, are you still planning on renting out the property? If so, who will manage it? If you're planning on selling it after they graduate, buying a house that is cheaper will allow you to pay it off quicker and then sell it when the time comes. 3. Who Will Manage the Property? If your child is living in the house, consider whether or not they are the type to maintain the property and act as a landlord of sorts to their roommates. If not, or if you're an investor looking to stay hands off, consider using a property management firm to oversee the property. Property management companies, such as ours, specialize in handling the financial and maintenance matters of the house for a small fee that is built into the price of the rental. This allows you to scale your portfolio to include dozens and even hundreds of homes, all with minimal supervision on your part. Only you have the ability to look at your finances and make a decision about whether or not buying a home near a university is right for you, but if you're still on the fence about it, consider these other advantages. Paying for room and board at a University is essentially money down the drain - not because it's wasted, but because you will never see a return on that investment, financially speaking. Home prices, on the other hand, are continuing to increase on average 3-4% every year, which means not only are you collecting rent on your property but when you sell it, you'll make a sizeable return on your initial investment. Your child gets essentially free room and board and you have a hard asset you can turn around and sell later. The tax laws on this are always changing so it's a good idea to review them with a professional before making the plunge, but historically speaking, there have been three major tax write-off's on property: deferral of capital gains (if you buy a like-kind property), deduction of expenses associated with the property, and the ability to write off depreciation every year you own it. Not only does this help make the initial purchase of the house easier, but once these tax write-offs are implemented, you may even make money on the life of the loan as well. Since the real estate crash of the mid-2000's, home sales have more or less returned back to their 2005 rates, but the emotional effect hasn't worn off as quickly. People are still somewhat wary to own a home and are increasingly looking to rent a home; this includes young families and senior citizens along with college students. Since the average property is $225,000 with adequate square footage, you can buy a moderately-sized home at a great price, charge at least what someone would pay in the dorms, and then use the rent money to pay off the house. You'll have to do some legwork to determine the rates in the area you're looking to buy in, but if done properly, you could essentially buy a house for almost free. As always, our company specializes in finding these types of rental homes, so feel free to reach out to us with any questions you may have. These days, university towns offer more than just a great experience for people attending school, the campus activities, medical centers, and art programs are drawing people of all ages to their communities. By capitalizing on a home for your child while they're in school, you not only allow them to live in a space they can call their own, but also start them off on the right foot financially by not saddling with them with thousands of dollars of on-campus housing they'll have to pay back with loans. And for savvy investors who see an opportunity to strengthen their portfolio, campus towns offer an inexpensive way to invest in a steady and growing market. College students will always need a place to stay and if you have houses in the area, you'll be able to accommodate them for years. As always please consult a financial consultant for financial matters. American Dream Homes, Inc. is not a tax advisor, financial consultant, or lawyer. However, we are professional Realtors and can handle your entire real estate transaction from start to finish and manage your rental property for you, giving you peace of mind!